This is a long overdue post on cuteness. 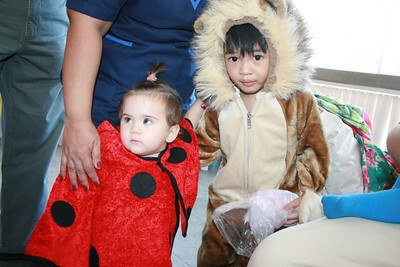 Sophia's party is the only party, so far, that Yakee truly enjoyed. He joined the games and sat along with the other kids in front to watch the show. And he was game enough to come in costume! Two costumes, even! Haha. 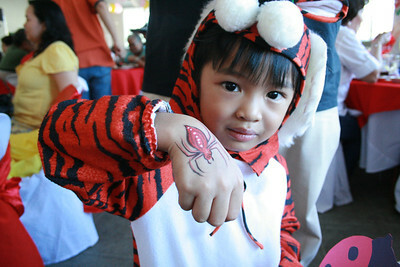 I just hope Yakee won't outgrow these costumes so he can go around Alabang with his cousins as a tiger. The lion costume is just so hot, you see, even if they're only dishing out halloween party favors to trick or treaters from my BIL's garage.